Whomever came up with the idea to put cold ice cream over warm pie was one smart cookie. So its only fitting that I pay homage this culinary pairing with boozy, bite-sized, versions of the real deal. 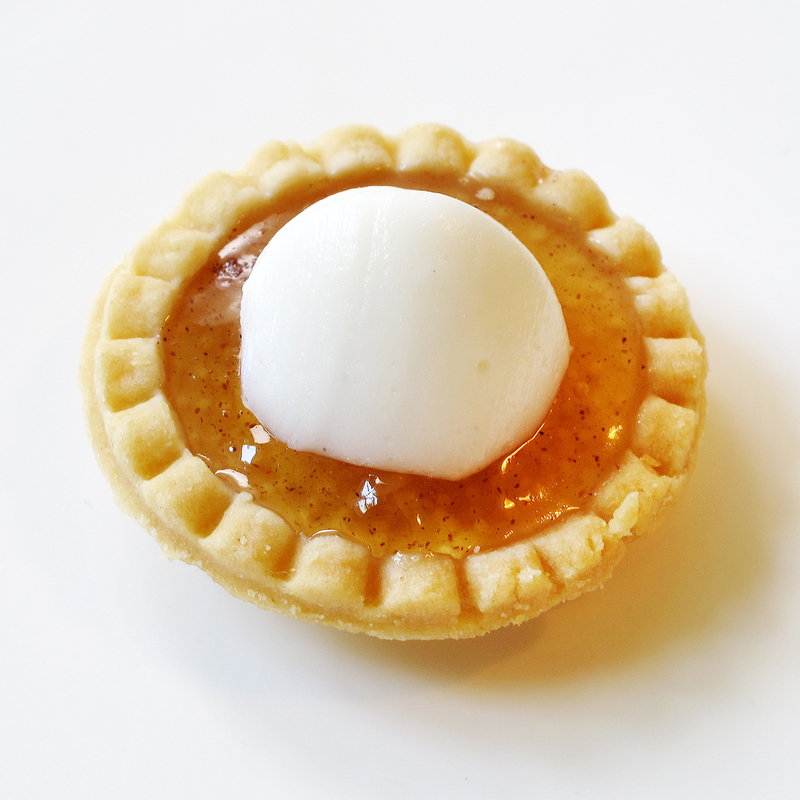 These super cute jello shots in tiny pie crusts are made with spiced apple juice, vodka, and topped with mini scoops of jiggly vanilla ice cream. This recipe would also work with whiskey or some of that homemade apple pie moonshine. These jello shots were served at a Memorial Day rooftop BBQ but, as American as Apple Pie, they would also make a festive 4th of July summer treat. In a saucepan, sprinkle 3 tablespoons (3 packages) of gelatin evenly over the apple juice and allow the gelatin to absorb the water for two minutes. Whisk in the gelatin while bringing just to a boil until gelatin is fully dissolved. Stir in 3/4 cup of sugar and the cinnamon. Allow to cool to room temperature and stir in the vodka. Refrigerate until thickened to the consistency of a gel. Gently spoon into the tart shells and allow the gelatin to heap over the rim of the tart shell as the shells are really small and shallow. * Refrigerate until firm. *You may have some leftover mixtures when done. Refrigerate for snacking later.